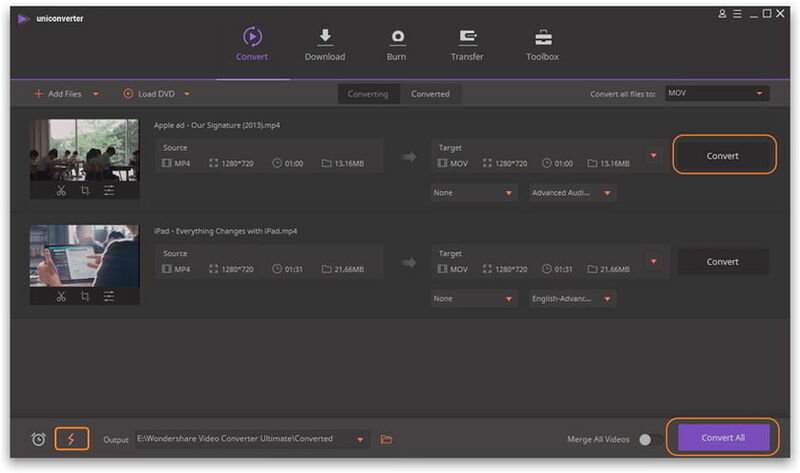 Wondershare UniConverter (originally Wondershare Video Converter Ultimate) enables you to convert videos from one format to another. After launching the software, you can complete the task with the following steps. Step 1 Add the videos. 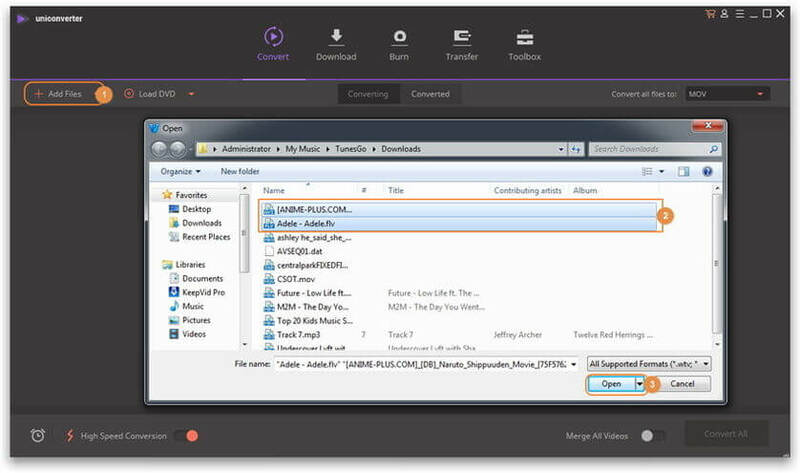 Before you start, you need to add the videos to Wondershare UniConverter. 1. Go to the Converting tab of the Convert section, then click the Add Files button at the top-left corner. 2. 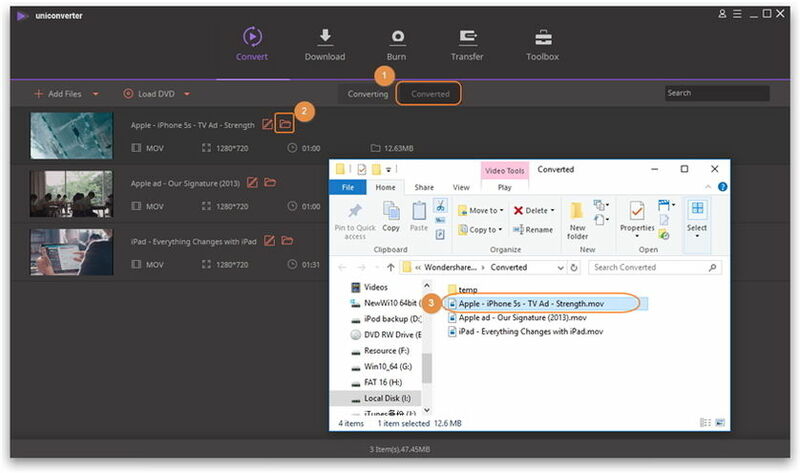 A File Explorer dialog box will open from where you can select the files you want to convert. 1. Click the drop-down icon at the top-right corner of the window to enter the drop down list of the output format. 1. Click the drop-down icon beside the video below to enter the drop down list of the output format. 2. Click the Video tab to enter the interface which shows all of the video output formats. 3. Select the output format for the file, for example MOV. 4. A list of presets appears on the right side of the format. 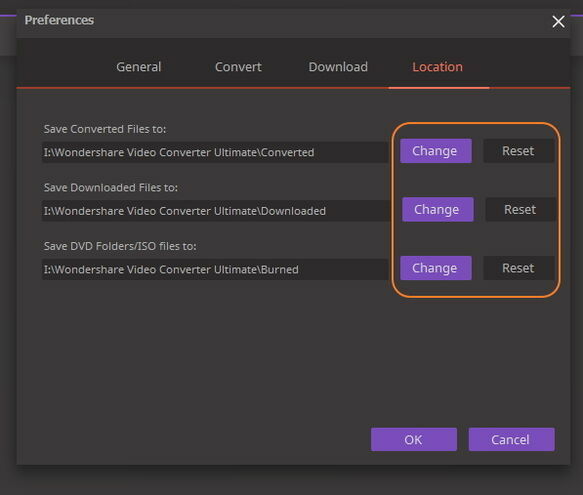 Here, you can choose the preset without a specified resolution to convert with the original resolution by default, or choose a different resolution for the file, double-click it. Then, the selected output format will be shown at the right side of the Converting window. 5. 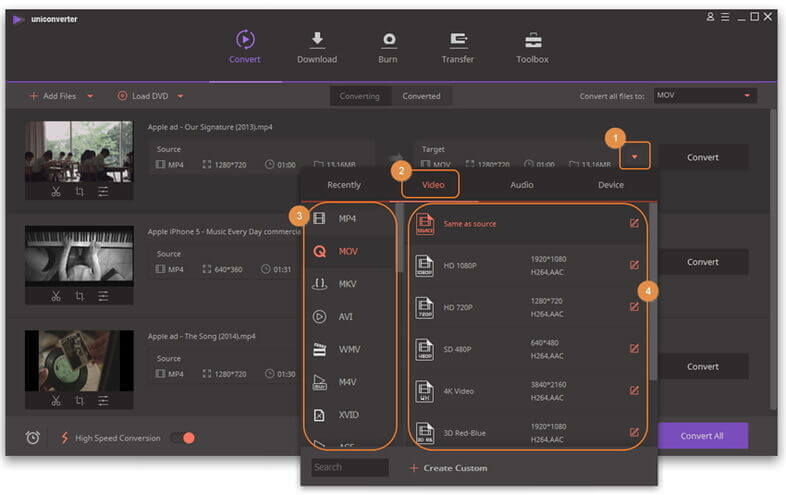 Loop to the above steps (Step 1 to Step 4) to set other videos' output formats. Finally, click the Convert All button in the bottom-right corner to start processing the files. Or you can click the Convert button at the right of each video to convert the related videos one by one. Step 5 Find the converted videos. After the conversion completes, you can tap the folder icon at the bottom of the main interface to open the output folder. Tips: You can change the output folder directly at the bottom of the main interface by clicking the inverted triangle and browsing the target folder. 2. Click the folder icon to open the output folder from where you can find the converted videos.